HeyPlantMan! 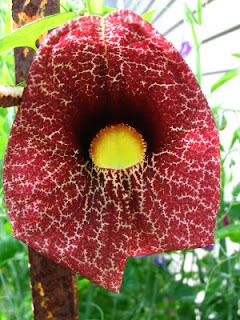 Exotic Tropical Plants from St. Pete FL: Plant Sale Fri/Sat Aug. 7 & 8 !! Plant Sale Fri/Sat Aug. 7 & 8 !! PLANT SALE THIS WEEKEND ! Where: 736 38th avenue Northeast. Note, the "northeast" ie east of 1st street north, neighborhood is east of NE Shopping Center. What: Great assortment of exotic tropical plants. We have some beautiful Pipe Vines (pictured above) right now ! We are continuing with great discounts on some of your favorite plants !